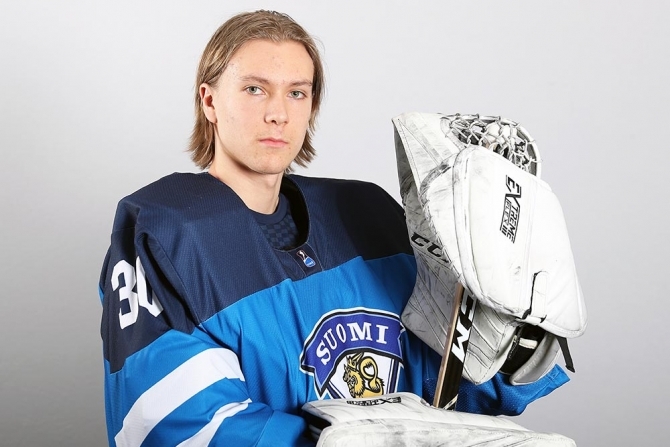 Patrikainen has been statistically one of the best goalies in Finnish U20 league this season. His good season continued against HIFK as he made 27 saves and allowed only two goals. To me, Patrikainen seemed technically decent. He had some issues with rebound control and his play with stick is really something that he needs to improve. His overall quickness was more than enough for this level of play. Technically he is okay, but probably needs bit more refining. I really liked his aggressiveness and reading of play. He knew when to challenge opponents and when to stay put. He did not hesitate to move away from the crease when necessary either. Overall, he was noticeable calm not doing any extra moves unless it was needed and that really helped him making the necessary saves. He might not be prospect for NHL at this point due to him bit smallish size for the modern goalie, but he should have enough abilities to move to pro game relatively quickly.